Ht.45-60cm. Z4. A wonderous Double flowered strain with rich Apricot-yellow colored flowers perfectly adorned and infused with deeper rich rose-red. 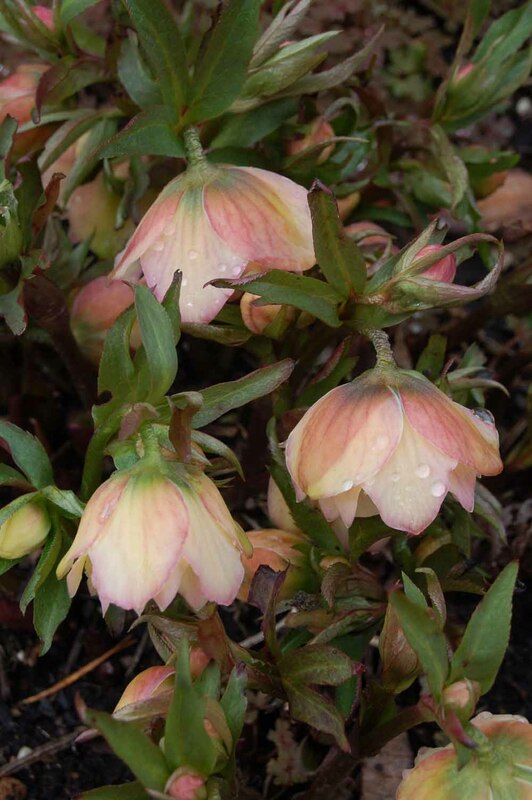 Our plants will be hand selected in bloom by Marietta and Ernie just prior to our Hellebore Weekend in February.